We need to stop for a moment and discuss truth. Truth has been a problem for modern societies since the advent of science and the Industrial Revolution. The problem is people confuse facts with truth. A fact is something that is independently verifiable. If I tell you that a diamond is made of carbon, you can perform a test on a diamond and verify it. The nature of fact is often viewed as objective because of this. This is led many people to believe that facts are the most reliable criteria upon which they can make decisions. Now, I am not trying to say that facts are unreliable. Reality has shown us that what we often call facts are subjective. It is a difference between Newton and Einstein's theories of gravity. Both are based on observable facts, but Newton was not exposed to the same types of theories that Einstein was. While the facts about gravity did not change, our subjective perception of them did, granting us a deeper understanding. The reason it is important for us to understand this is so that we can embrace the openness of mind the scientific method requires if our understanding of the universe is to continually expand. That is why scientists refer to everything is a theory, because it is always possible, even if highly unlikely, that new evidence may come to light, and radically change our understanding of a given issue or topic. Unfortunately for humanity, many developed a rigid dogmatic approach to science and religion. They confused fact and truth. Let me give you an example: the calcium and iron in your body were forged in the nuclear furnace of a star. When that star died, that calcium and iron was spread into the galaxy, collected on our planet, taken in by other plants and animals, and then consumed by you. That is a fact. The truth is that we are made, as Carl Sagan used to say, of star stuff. We are the children of the stars. They gave their lives so we might live. Every creature that you meet, see, or interact with is the direct descendant of the stars. Facts are analytical products. They are derived from processes designed to safeguard them against the biases and prejudices of people. Most often truth can only be spoken through symbolism and metaphor. In the example I gave before, no star literally gave birth to you, but that makes it no less true. When I say we are the children of the stars that is meant to explain our relationship with them, and to show our interconnectedness with a vaster universe than most of us realize we are connected to. Facts and truths have different functions, which makes fact more important in some respects, while truth is more important in others. If you are going to build a table, it is important that you first utilize the facts: a table requires no less than three legs. The number of legs and the materials out of which it is made rely on the size and loadbearing capacity for the desired finish table. The truth is, there are certain design and form motifs that make a table beautiful. These are relational, and cannot be arrived at through analytical study. Taste and form and fashion changes over time, whereas the physics of table construction do not. To make a good table requires the the facts of basic engineering and the truth of an artist. This is what made the iPod and the iPhone so successful. The problem we face today is that people have confused the function and purpose of facts and truths. A facts remains a fact whether or not you believe in it. A truth can remain a truth whether or not you believe in it. The problem is a truth cannot supersede a fact, and facts often have no bearing on the truth. The fact is, if you jump off a cliff, you will fall and be injured, possibly even killed. It does not matter what truths you believe. If the truth is you dearly love something, facts will often do nothing to sway you one way or the other. Facts tell you what something is and what will most likely happen when this happens to that. Truth tells you what your relationship and interaction is was something and offers insight into how to react. This is why when I discuss religion I like to use the word mythology rather than doctrine or dogma. Doctrine and dogma are too easily confused for facts. If I tell you, God is a Trinity, there is no objective analytical test that can be independently performed by a skeptic to prove whether I am right or wrong. As a result, many so-called rationalists choose to reject out of hand anything that cannot be independently verified. They say that this truth, like all the claims of religion, must be accepted on blind faith. Nothing could be more wrong. Truth is judged by the outcome of its implementation. The fruit of an idea is easy to discern. What was the fruit of racism? Hatred, bigotry, intolerance, and the reduction of an entire class of people to second-class citizenship. A bad tree bears bad fruit. 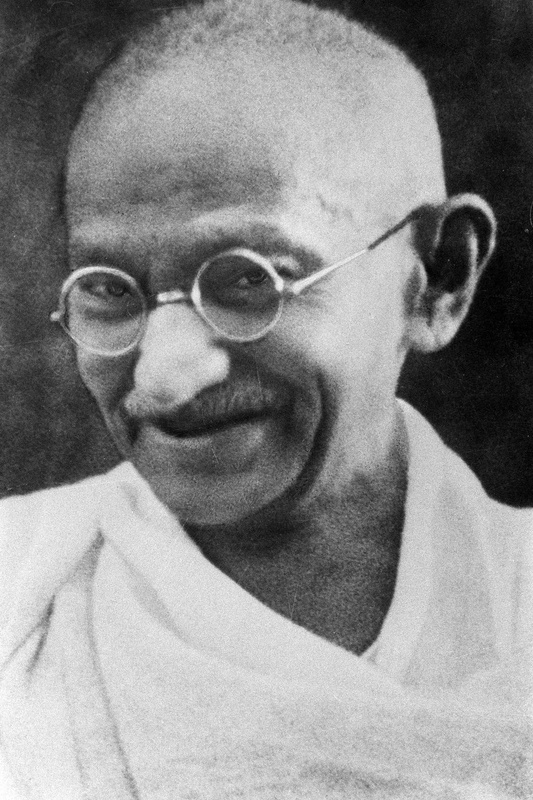 What was the fruit of Gandhi's idea of satyagraha? Independence without war, and the reclamation of dignity for many peoples. A good tree bears good fruit. The apostle Paul taught us what fruit we are to look for, "the fruit of the Spirit is love, joy, peace, patience, kindness, generosity, faithfulness, gentleness, and self-control. There is no law against such things (Galatians 5:22 – 23)." So if I tell you, you should give money so you can get wealth, it should be obvious to you immediately that this is a bad tree that will produce bad fruit. It encourages greed, gluttony, and invalid sense of self-importance. If I tell you, if you can give a donation to your local soup kitchen, he will help the hungry and homeless in your area. That is a good tree producing good fruit. The fruit of that action is love, kindness, generosity, and even faithfulness to your fellow human brothers and sisters. The power and truth of a mythology does not rely on its connection to the facts of the world, but on the fruit that it bears in your life and in society.